Number Two & That Ain’t Bad! We are pretty proud of representing Forest Grove in Portland at the Nano Beer Fest at John’s Marketplace in Multnomah Village. Ridgewalker and Waltz joined us, along with 26 other nanos for the two-day fest honoring Oregon’s smallest breweries. 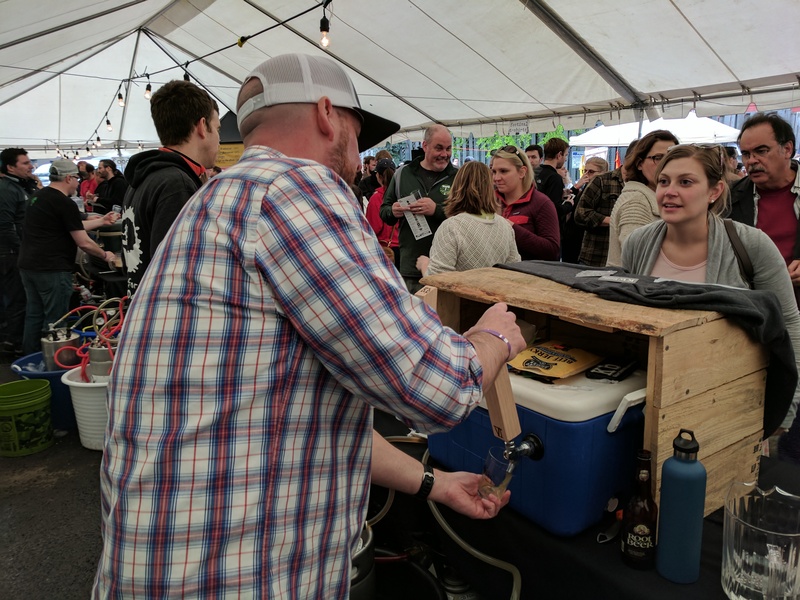 Friday, April 21 was warm and saw a great flow of crowds in the tent-covered parking lot of John’s Marketplace, and despite the wind and rain, Saturday April 22 was even more packed out with thirsty beverage connoisseurs. 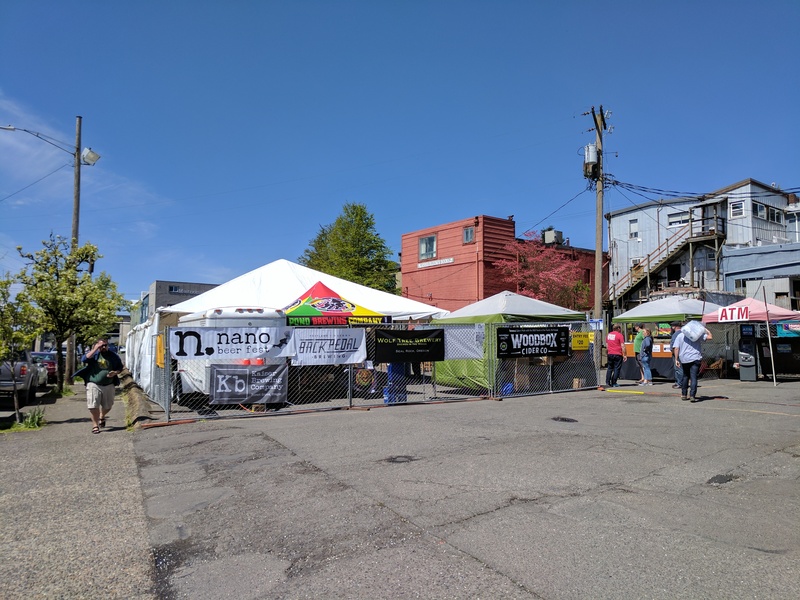 Over all, twenty-eight Oregon breweries, cideries, and meaderies were in attendance at the fest, featuring 2-4 of their best styles. Many had owners and brewers onsite to promote their businesses and discuss with patrons how their craft drinks were made. A panel of VIP industry judges walked through on Friday and tasted every beer, cider, and mead offered, and then ranked them on flavor, color, and technique. The winners were announced on the Nano Beer Fest social media pages on Monday, April 24. Out of 60 other beverages poured, we were proud to take second place for our “Wheeze the Juice” New England Style IPA. This marks our third award-winning beer, and we are so honored to be recognizes and appreciated by our amazing fans! We will be showcasing this winning brew, among other popular styles of beer in our tasting room at 1607 Hawthorne Street, and at First Wednesdays on Main Street in Forest Grove, June 7, July 5, and August 2, and at Forest Grove’s UnCorked on August 19. Kaiser Brewing Company is all about community, fellowship, and good beer. Founded by seasoned homebrewer Jonathan Kaiser, Kb is a nano-brewery in Forest Grove, Oregon, looking to expand the craft beer experience with unique and robust flavors. For more information about Kaiser Brewing, please visit and like us on Facebook!